Seduce your hair with smoothness brilliance and no frizz. Directions: Shake well. 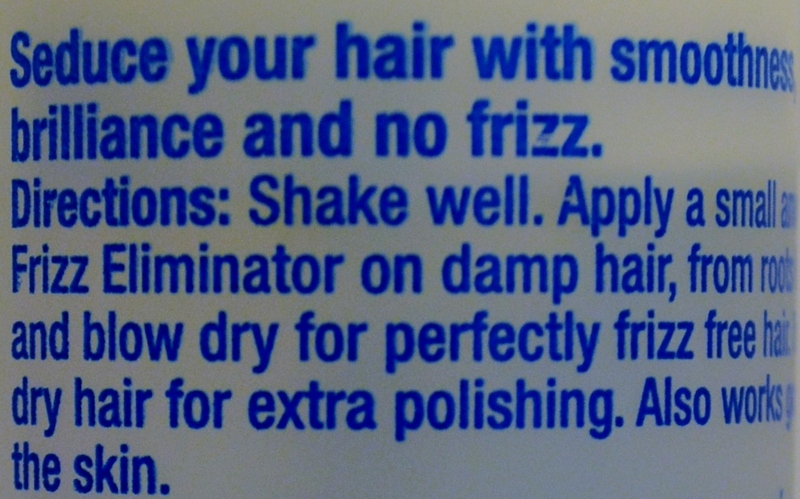 Apply a small amount of Frizz Eliminator on damp hair, from roots to ends and blow dry for perfectly frizz free hair. Use on dry hair for extra polishing. Also works great on the skin.